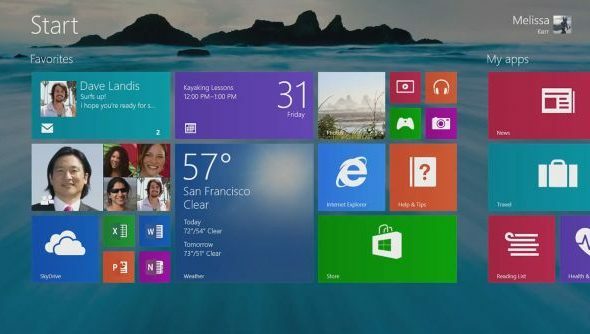 Our Tim once ignited the internet with an article about uninstalling Windows 8. But I think the general consensus at PCGamesN these days is that it’s absolutely fine once you learn to utterly ignore that strangely detached Start screen. In any case, some of us are using it – 17.13% of Steam users according to Valve’s last survey in September – and likely want to hear about its first major update, which allows users to bypass the tile screen entirely. Jensen would be disappointed to hear that his dynamic photo frame didn’t last long on the ‘People’ tile of my machine, after it started cycling the faces of school acquaintances from my long-forgotten hotmail contacts list. Thanks, but seriously, stop doing that. The ability to prevent pictures from enveloping the entire screen in particular is very welcome, however. So too is the option to sync up your desktop background to the Start screen. That and the pretty dragons might see their relationship thaw a little. Or, you can get rid of the tiles for good via the newly implemented traditional desktop mode. Maybe that. I wonder if SkyDrive allows for easy between-PC storage of progress in games that don’t support cloud saves? That would be nice.